Ensign Shipping & Logistics is a leader in the supply chain industry providing more than 20 years of uncompromised service across the shipping and logistics industry. 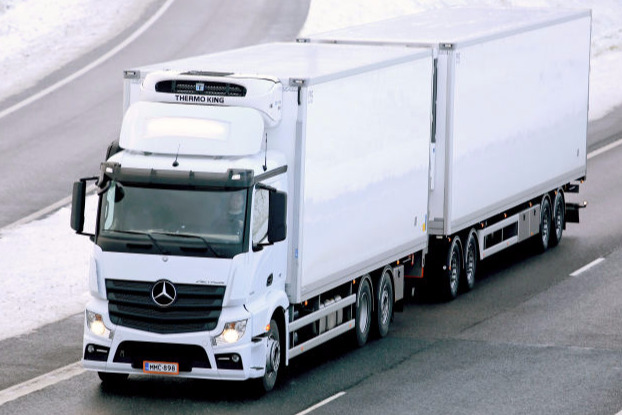 Ensign prides themselves on delivering out of the box solutions for your everyday logistical problems, successfully operating contracts for some of South Africa’s largest organisations. Recently Ensign has expanded their services into Southern Africa. Ensign looks forward to partnering with your business to ensure efficient service and growth of your company. Ensign is supply chain integrator that takes full responsibility for the management of end-to-end supply chain management on behalf of a customer. Ensign will plan, resource and build comprehensive solutions on behalf of the contracting customer. Ensign contracts various 3PL providers on behalf of the customer to deliver the required logistical solutions. An intense participation between Ensign and the customers is based on collaboration and the relationship is grounded more in long-term value creation than short-term cost focus. Ensign operates within 4th party logistics within several large supply chains in the wheat, malt, lucerne and maize industries. The company has its own fleet of skeletal tipper trailers which it uses to tip and deliver bulk agricultural commodities within the KZN area. Ensign currently contracts approximately 200 000mts of product per annum. We tailor storage for your specific business’ needs in Durban, Richards Bay, Johannesburg and Cape Town. When you trust a company with warehousing your goods, you need to know where your products are at all times, and you need to know if they’re in the right hands. Our facility in Richards Bay is situated 5.8km from the port. The property consists of 35 000m2 of “A” Grade warehousing space with a weighbridge on site. The site are capable of simultaneously receiving and dispatching 150mt per hour. At Ensign the handling is designed with great skill to serve the product with much more care and competence. Ensign is dedicated to supply the most skilled staff and tools to the agricultural industry, to make sure the product is not in danger of contamination. controlling the birds, temperature, insects, mould infestations. The loading as well as the offloading is much easier and at a lower cost for you. This means more savings than you expect. A safe and cost effective logistics solution. Having played a major role in vessel operations over the past 20 years, Ensign has more than 50 years’ combined experience of quayside discharge operations; transportation of product and understands the urgency (of the matter) of a vessel that has berthed. The team have long-standing, well tested relationships with the most reputable carriers and owners. We journey with our customers through the process, advising and guiding as necessary. We journey with our customers through the process, advising & guiding as necessary. The shipping industry is as competitive as ever. We will negotiate on your behalf to ensure your product is carried appropriately with reliable carriers and at competitive rates. Our team has more than 60 years’ combined experience in sea freight and therefore understands the intricacies of transporting your product in this way. Containers: LCL and FCL shipments worldwide.